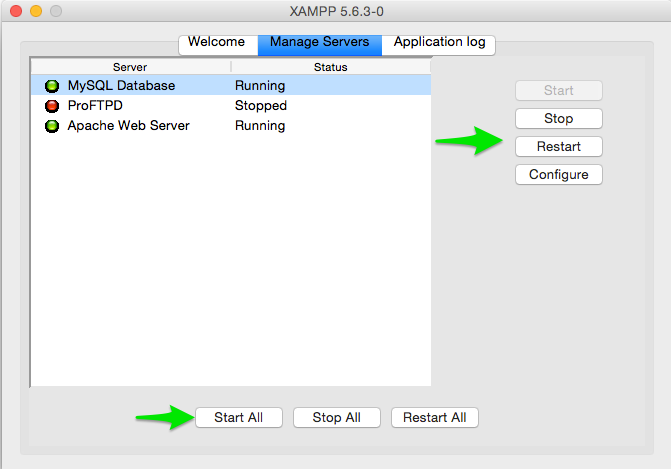 XAMPP – most of the web developer will know what it is! This simple description is for the newbies. 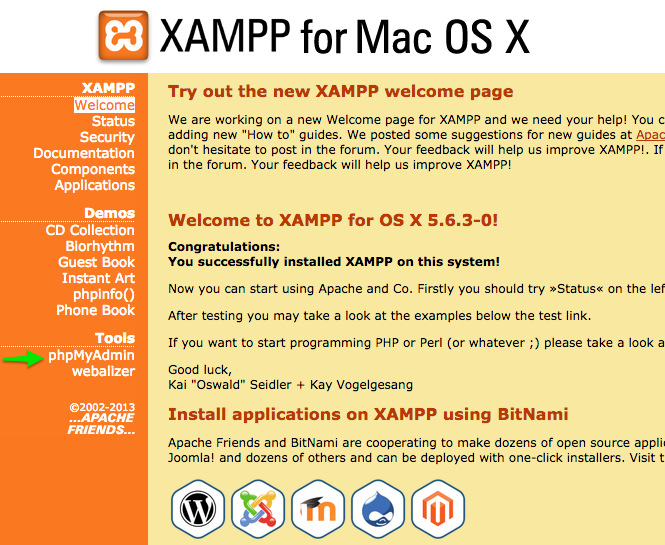 XAMPP is completely free PHP development environment. It contains Apache distribution packed with mysql , PHP and Pearl which is available for most popular OS’s like Windows/Linux/Mac OSX, that makes you to configure and run Apache server in your local machine. 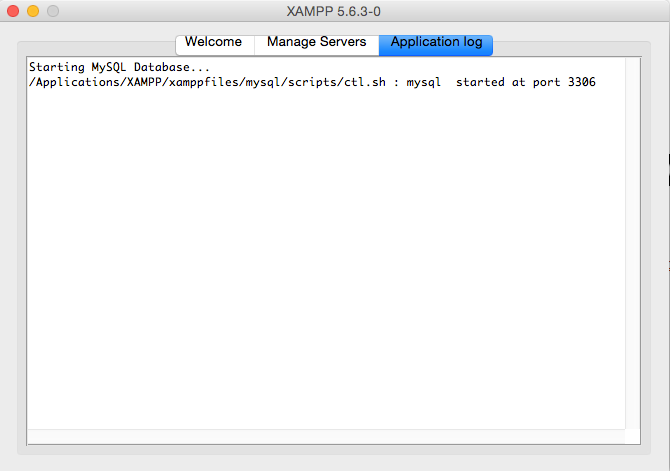 Before downloading the XAMPP, be sure about the PHP version you need. 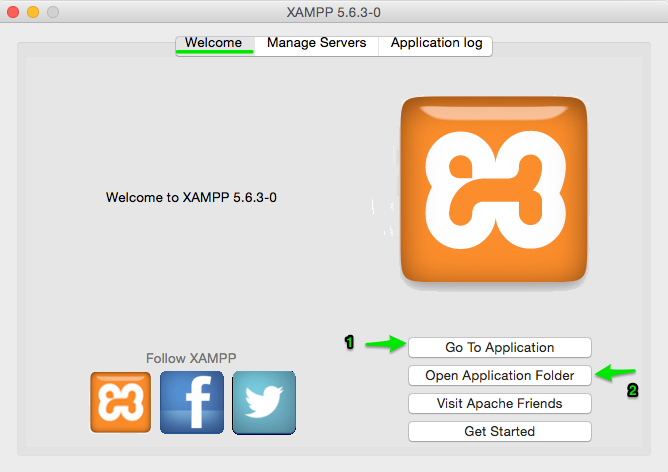 You can download the Latest Version of XAMPP here. Download the appropriate DMG file and mount it to your mac by double click on it. Application installer opens and guides you through the installation steps. 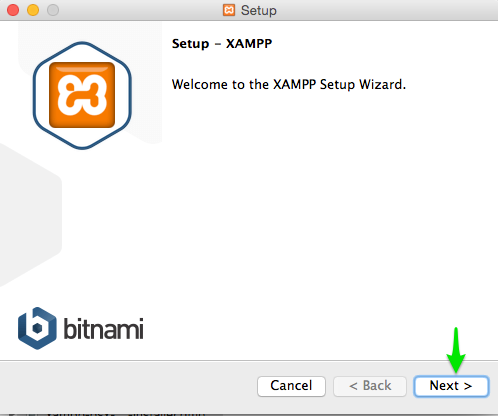 Double click on XAMPP icon to start the installation process. 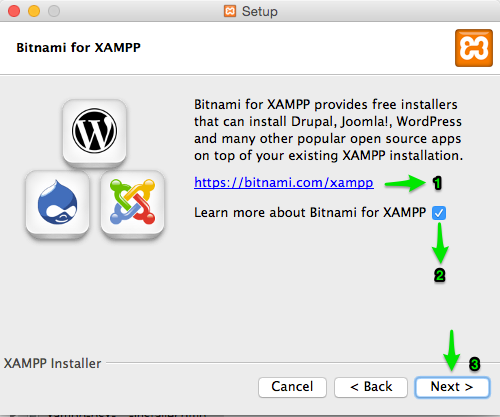 After clicking the Next button ,XAMPP will install to your Application Folder. Open the bitnami link in a new window. There you can find free installer for wordpress, Joomla, Moodle, Magento, Drupal, etc… Which tends you to install these things over your XAMPP. Uncheck the checkbox below the link and click Next button. 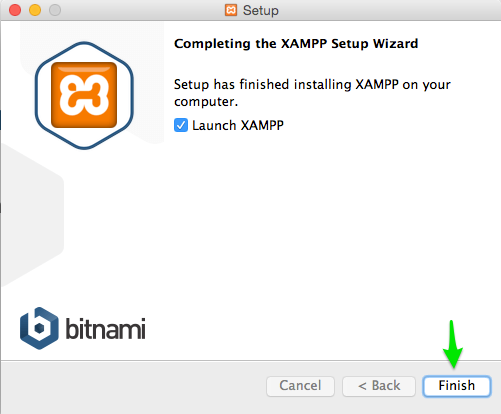 XAMPP Installation process will complete after clicking the Finish button. Yeah thats it ! 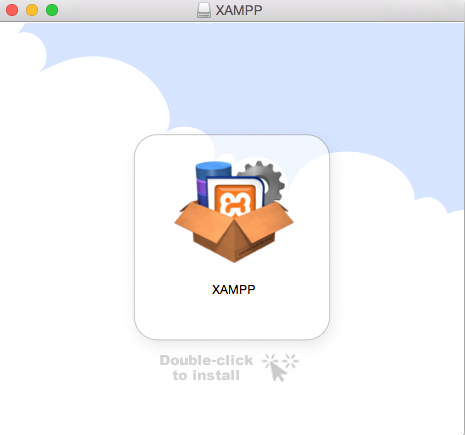 now your MAC is equipped with XAMPP. Its time to start apache server in the local machine! By simple click in the “Go to Application” button start the apache servers and take you to the local server’s index page in the browser. 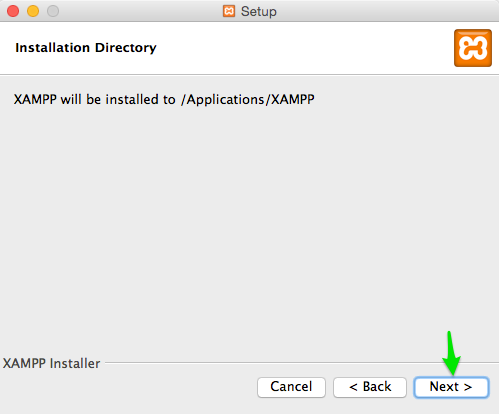 Open Application Folder opens the XAMPP folder inside the Application folder. After clicking on Go to Application button, it redirects you to the browser where you have to pick your language. After choosing your language, it redirects you to the index page of your local host. You can find some inbuilt tools there. phpMyadmin -> you can create or manipulate database easily with the help of this tool. webalizer – > its a web analyser tool. You can start, stop, restart or configure your Server under Manage Server tab. You can monitor the server event through Application Log panel and can easily identify for error or any malfunction happens with in it. The virtual host is required whenever you are working in multiple projects and their directories are at different location. Virtual Host allows you to run multiple local sites using single apache server. Click yes on the advanced user warning that appears. You have to enable the virtual host in this configuration file. Search for “# Virtual hosts” and uncomment the “Include etc/extra/httpd-vhosts.conf” line by removing ‘#’ before it. Find these “User/Group” line and Change the user group name (daemon) to your MAC user name. This prevents the server from making 403 access forbidden error. after making this changes save the configuration file and restart the apache servers. 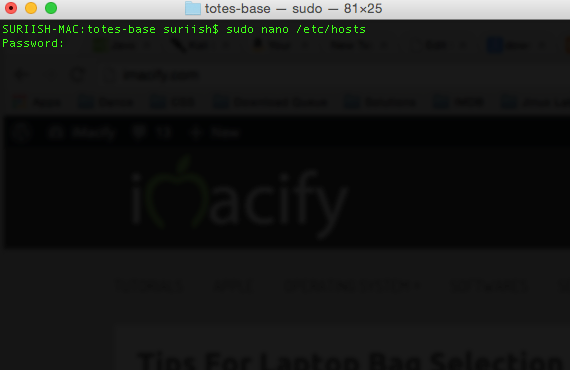 Replace the yourSiteName.local & document root path to the required one. 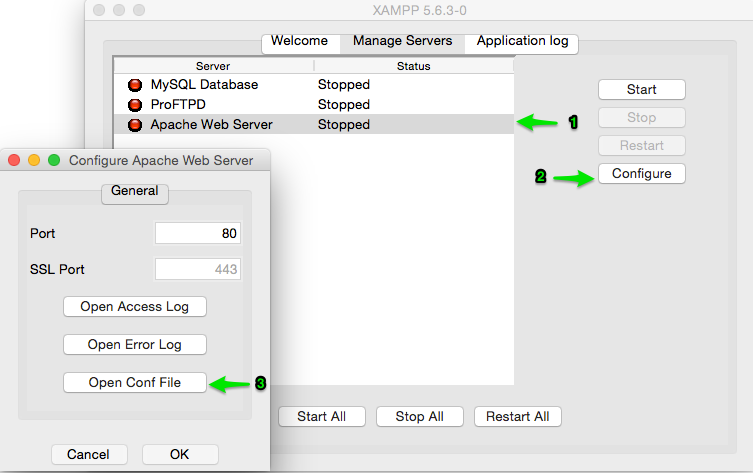 To create multiple host replicate the code added in /Applications/XAMPP/xamppfiles/etc/extra/httpd-vhosts.conf file again but with different site name and add the host entry for that also. Restart the Apache server for the changes to take effect. Yeah it’s all done. Now you can hit the virtual host in the browser.If you have any doubts and clarification regarding this, drop it in the comment section. Do I need to do any permission configuration? Update your apache to the latest version and ping me back if got the same error. 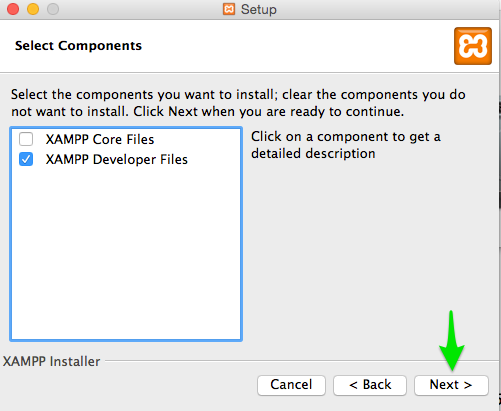 When I’m installing xampp, I can’t uncheck the xampp core files option. Is that going to be a problem if I just install it with the core files too?